When David was born with a critical congenital heart defect, Monica's world changed completely. A former businesswoman, she soon discovered she would need to know more about medicine to take care of her afflicted son. This led to a career change that has helped countless others in the congenital heart defect community. Monica will share with Anna how her training helped her as a parent and what she is doing today to continue to be an advocate for her son. David was born not only with a ... See More serious heart defect but also with Hemifacial Microsomia. 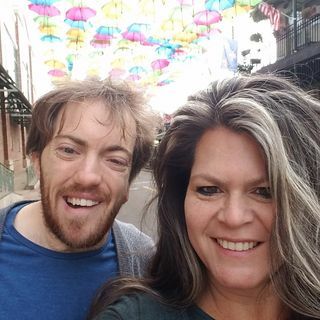 These two conditions affected him in a variety of ways -- naturally, David's early milestones and development were impacted by his need for surgery and in consideration of his birth defects. In this episode, he'll talk with Anna about how dealing with adversity made him the man he is today.